Have you had a conversation with your voice? I know. Sounds funny. But let me give you a mental exercise that might reveal things to you and possibly increase your vocal health and ability. You see, your voice is like a finely strung horse which runs on subtle instinct and honesty. Your conscious mind is like the rider or trainer... and your horse takes cues from what your conscious mind tells it to do. Maybe your "horse" needs to talk to you about your "riding skills". Place two chairs in a quiet place, facing each other. Sit in one chair and imagine your voice sitting in the other. Ask it what it wants. Questions like... How does it feel? What are it's complaints? Are you neglecting it? Are you abusing it? Are you belittling it or constantly putting it down? Are you not trusting it enough to use it? Imagine it replying, and really let it tell you it's truth. 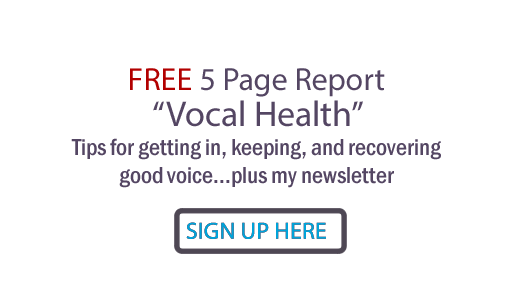 Now ask yourself what you should be doing differently if you want your voice to do it's best. Let me know what you find out!